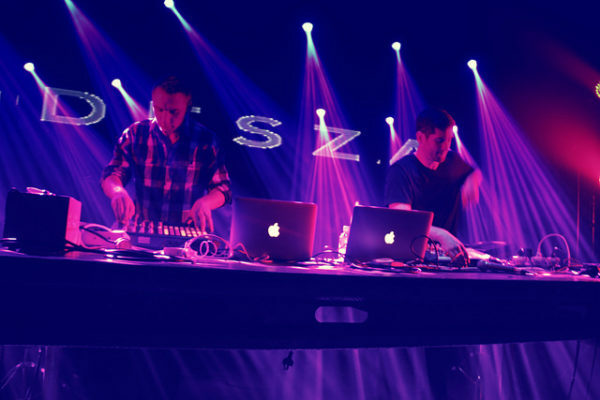 ODESZA has long been known for their vibrant, versatile musical aesthetic. Their music demonstrates an impressive stylistic scope, as their palette of synths and chopped-up vocals slide effortlessly between the dark, the dramatic and the upbeat. It feels not only comfortable and natural, but also adventurous, moving forward with an innocent determination. In every one of their songs, synth and voice weave a beautiful sonic synergy, the synths painting the backdrop of the track and the voice animating the music with colorful vigor. It’s truly liberating: It’s as if the music wants to live out its life measure for measure, riding the up-and-down waves of life joyfully, yet ever carefully. It’s controlled, but it certainly knows how to have fun. For the most part, this spirit remains strong within ODESZA’s new work. I initially had some reservations about “Line of Sight”: It opens with slightly cheesy, plaintive vocals backed with gentle, airy pads that would fit perfectly into a pseudo-edgy, cookie-cutter, vapid pop track. But when the beat dropped, a Troye Sivan-esque groove – complete with reverb-soaked drum hits, a driving synth pattern and “woohoo”-ing vocals – filled my ears with a familiar warmth and soul. Yet, while it was certainly enjoyable, it wasn’t anything new. “Line of Sight” is a well-executed fusion of the chillwave-trending pop-electronic style emergent in recent years; but due to the formulaic nature of that style, I can’t really compliment this track for its originality or innovation. Sure, the track was a fun, interesting listen, but it was rather predictable, hewing largely to safe chord progressions, hooks and melodies. “Late Night” begins on a more fortuitous note: Some sparkling synths and guitars quietly seduce you toward the track, drawing you closer with their idyllic tunes. The delicate riffs twinkle softly, until suddenly, we’re greeted with a plain, four-to-the-floor beat in concert with a mysterious, funky bass hook. Wordless melodies float above the synth, and as we go deeper and deeper into the night, the synths expand and recede into a breathy soundscape. The drums fade into the background, and the tender sounds of the guitar begin to shimmer in the distance once more. The beat comes back, more confident and resolute than ever – and all too soon, the song is over. The wordless voices are all that remains, uttering with their last breath the sounds of the late night as it draws to a close. It’s these small moments – when that simple four-to-the-floor conjure up images that swirl and coalesce for the listener — that it turns extraordinary. “Late Night” undoubtedly embodied all of the musical aspects I enjoyed about ODESZA’s previous work, but it built upon them and swept me away into musical worlds that I didn’t know existed. It was chill and carefree, yet it was imbued with a sense of determination, and I was compelled to follow the music to its end. I may not be able to say the same for “Line of Sight,” but if the forthcoming album has more moments like “Late Night,” ODESZA will have once again proven their mettle in the world of electronic music.